I traveled to Singapore in late June for the first time in two years. In addition to famous tourist areas, I went around spots I have never been to before this time. While I have lived in Singapore for a year and half before, I find something new whenever I revisit Singapore. 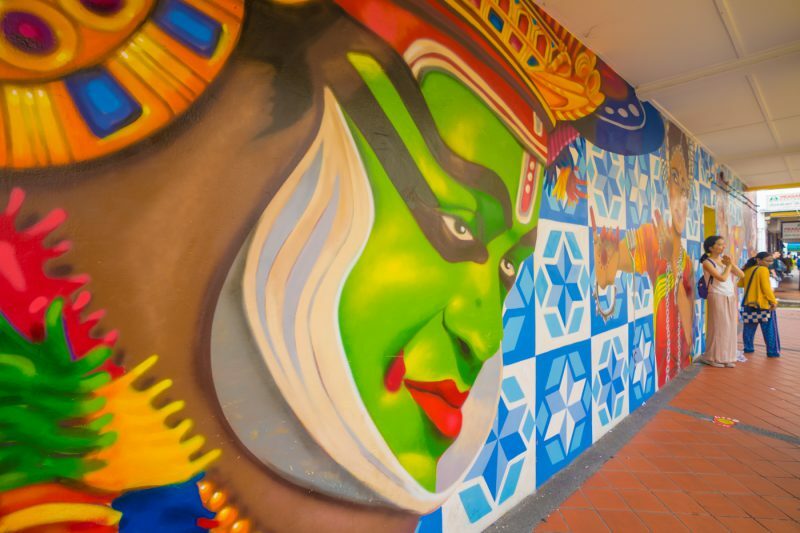 In this article, I will write about Wall Arts in Little India as part of Day 5. Following the previous post, I moved from National Museum of Singapore to Little India. It was a lille bit far, but I decided to take a walk while enjoying scenery on the way. 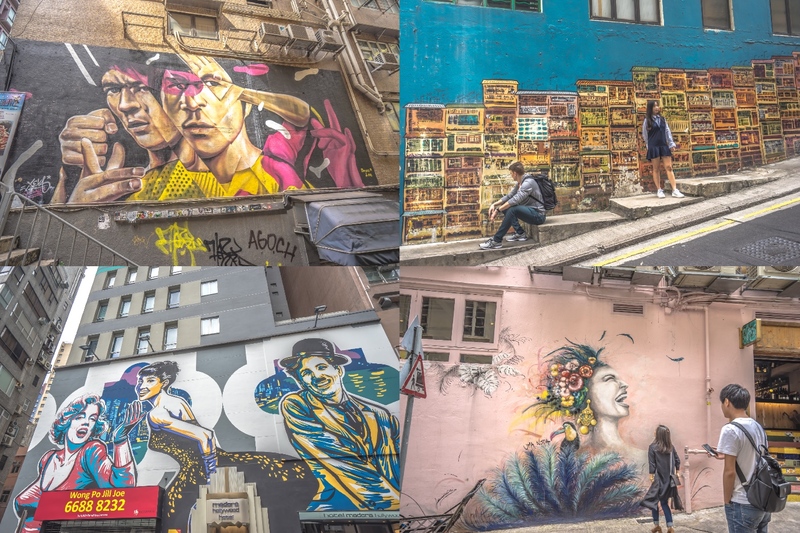 Around Waterloo Street, I found a building with several wall arts. View around Rochor MRT Station of Downtown Line. There was “LASALLE College of the Arts” near the station. As it was an art college, its building was artistic. I reached Little India. In front of the building, there was “The Banana Leaf Apolo”, which was famous for its fish head curry. Whenever I visit Little India, I realize Little India has its unique taste in terms of building colors compared with Chinatown and Arab street. A modern building on the left was “Indian Heritage Centre”, which showed the Indian community history. It was sunny only around this time. Serangoon Road, a main street of Little India. When I visited Little India two years ago, I mainly walked through famous spots including Sri Veeramakaliamman Temple (see the related article). This time, I will watch wall arts in Little India. To begin with, a wall art at Clive Street. Here is art works at Upper Dickson Road. There were lots of people who took pictures here. Each people depicted on the wall had different character. Although it was not an wall art, “House of Tan Teng Niah” was also colorful and artistic. Other wall arts. At Race Course Road. Near Little India MRT station. 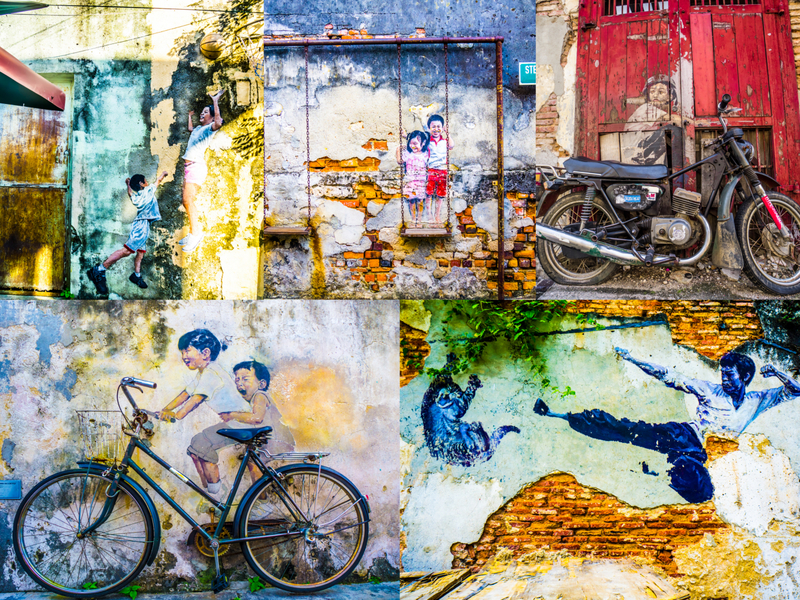 That’s it for the article about Wall Arts in Little India as part of Day 5. By the way, I watched other wall arts in different countries before, so if you are interested in it, please see the following past articles. In the next article, I will write about Bugis as part of Day 5. Merlion Park at night – Wonder Full at Marina Bay Sands etc. Visiting National Gallery Singapore and Raffles Hotel Orchard Road: the largest shopping area in Singapore Clarke Quay: the largest night spot in Singapore Night view of ION Orchard: my last night in Singapore Revisit Singapore Part 10: Sentosa Cable Car and Henderson Waves Revisit Singapore Part 16: Evening Scenes of Marina Area (Marina Bay Sands etc.) Revisit Singapore Part 17: library@orchard and National Museum of Singapore etc.